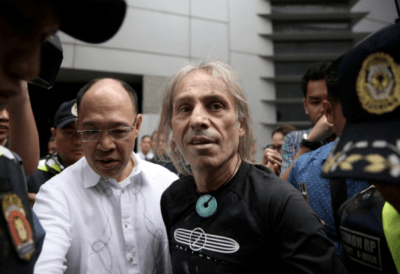 “We don’t encourage the public to do the same because it’s a security and safety hazard.” City police chief Rogelio Simon told CNN Philippines. Robert who is originally from Burgundy, France is well-known as the urban climber who has scaled the tallest of buildings such as The Petronas Towers in Kuala Lumpur, Malaysia, and the Burj Khalifa located in the United Arab Emirates, which holds the official title of the tallest building in the world. When asked why he continuously travels all over the globe to climb buildings, Robert said, “This is my path, this is my way of living. It is as important to me as eating, sleeping. I need that. It keeps me alive.” He also added that he loves to make people happy, and by doing what he does, he entertains people for free! 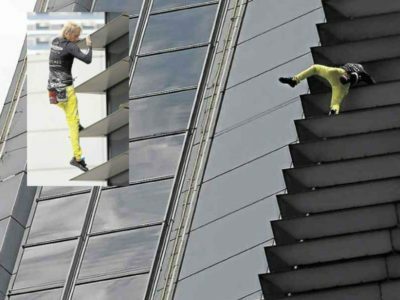 He started with this hobby when he was only eleven years old, and to this date, the French Spiderman has climbed over 150 skyscrapers including the Eiffel Tower. As a free solo climber, Robert climbs without the use of any ropes or safety equipment. He is the Guinness World Record holder for most buildings climbed unassisted.